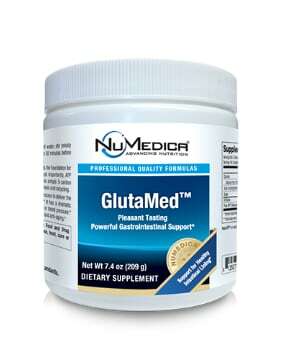 NuMedica GlutaMed Rx is a powerful great-tasting formula that enhances the GI tract. This nutritional supplement is designed to support the intestinal lining for optimum gastrointestinal function. NuMedica GlutaMed RX 30 is known to enhance digestion, liver function, and even immunity. With its rich content of glutamine, an essential amino acid, this supplement delivers the support that people need for an improved digestive tract. Because glutamine is needed by many systems of your body, a supplement such as this ensures that you have the amino acid support you need for optimum health. The amino acid glutamine is used in many areas of the body. Glutamine is stored in several regions of the body such as the brain, muscle tissue, and stomach. Glutamine is involved in a wide array of health functions that make it an essential ingredient of good health. Taking nutritional supplements that contain glutamine has become a popular way to enhance various processes of the body. Diet, medications, chemical additives, and preservatives take a toll on our gut lining. For this reason, it's not surprising that digestive complaints are on the rise. A supplement like NuMedica GlutaMed RX 30 employs glutamine, which can have a healing effect on this lining. Once the intestinal lining is enhanced, the immune system benefits as well. Glutamine can also contribute to improved water absorption, which leads to improved hydration for the whole body. 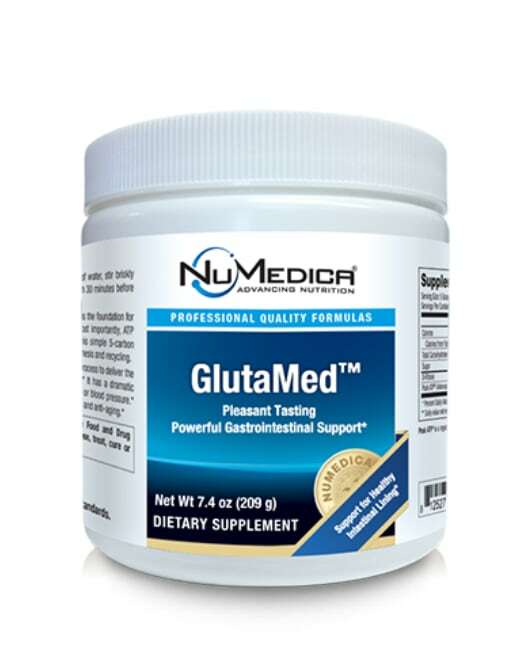 Glutamine also supports the health and function of the pancreas, esophagus, liver, and mouth. Directions: Take one scoop (7.1 g) mixed in 2-4 ounces water one to three times daily or as directed by your healthcare practitioner.